I have no idea what possessed Putin. Did he think that it would spare him Western criticism in the run-up to Sochi? Of course not. 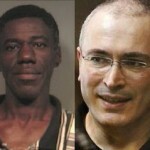 Khodorkovsky was on the back-burner. 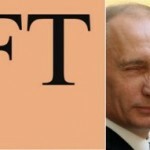 LGBT rights are West’s stick du jour to beat up on Russia. Did he think it would improve the legal and investment climate? I sure hope not, because it would mean he is an idiot who laps up the propaganda of those who loathe him. Did he think it would reflect well on him? Journalists are rushing in to confirm that Putin’s pardon is just as arbitrary as the original indictment. (They have a point – about the former). Even pundits who once excoriated Khodorkovsky as the criminal he was, such as Mark Adomanis, now talk of the “trumped-up charges of fraud and tax-evasion” that put him in prison. Did he think Khodorkovsky would shut up in gratitude? There was no admission of guilt involve, and the Menatep bandit has begun agitating from his 5-star Berlin hotel already. Russia desperately needs more Westernization. 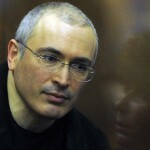 In any truly civilized country, YUKOS’ campaign of tax evasion and contract killings would have ensured Khodorkovsky would have been locked up and the keys thrown away forever. Instead, he will busy himself with plotting intrigues, as oligarchs are wont to do in banana republics. The only difference is that Russia doesn’t have bananas. 12/22/2013 EDIT: Alexander Mercouris has penned what I consider to be the defining article on this: Khodorkovsky – The End of the Affair? Go, read.